Whether you’re a first-time parent or consider yourself an old pro, it’s not uncommon to have questions about your infant’s oral health routine. 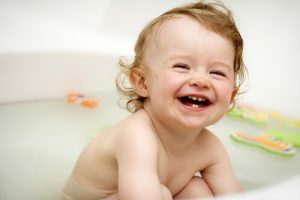 From when to start to how to get started, the idea of caring for baby’s teeth can be overwhelming to say the least. But there’s no need to panic, mom and dad! You’ve got this. 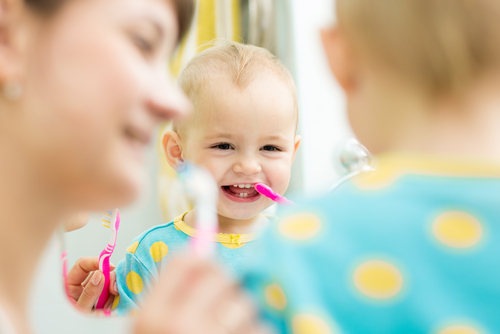 Here’s your primer for infant oral health care. Many people believe that the best time to start caring for their child’s teeth is when the first tooth erupts. This makes a lot of sense, but believe it or not you can actually start caring for baby’s teeth a lot sooner – before he or she even has teeth! By simply swabbing the gums with a gauze-covered finger and fluoride-free toothpaste twice a day, you are setting your baby up for a lifetime of good oral hygiene. Why start before teeth appear? There are two major reasons. First, it cleans the gums, keeping them free of bacteria and germs. 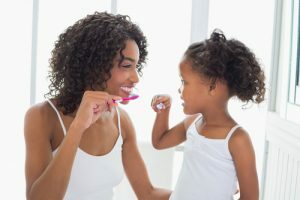 Second, it gets your baby used to the feeling of having his or her teeth cleaned, so that when the first tooth does appear, your baby will let you clean it without putting up a fight. Before your child is old enough to spit out toothpaste, you should use fluoride-free paste to keep teeth and gums clean. Make sure you are either supplementing this with fluoridated water or receiving fluoride tablets or drops from your dentist. For infants with no teeth, you can gently swab gums with a piece of gauze or rubber gloves. Once baby’s first tooth appears, an infant toothbrush can be used. Another common question we hear is when babies should have their first dentist appointment. There is no set age for bringing an infant to the dentist. We recommend you bring him or her in for a first dental exam within six months of the first tooth erupting. What Happens at Baby’s First Dental Exam? Most first dental visits will be very brief. Baby’s teeth will be examined and counted, and good oral hygiene practices will be reviewed with the parents. 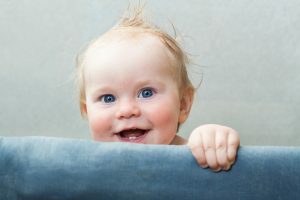 Parents will be directed to schedule their next appointment within six to 12 months of the first, to keep baby comfortable with coming to the dentist. To schedule an appointment with Dr. Lesko, please call 970-812-0355. Have you ever tried to remember what it was like when you lost your first tooth? Unless you have an incredible memory, most of us can’t recall how we felt when a tooth first got wiggly and then fell out. Our parents might remember, but most likely they only recall the milestone if we had a particularly good – or particularly bad – reaction to it. This thought led us to the question: Does losing a tooth for the first time scare most kids? It’s that magical time of the year again when the stockings are hung by the chimney and often filled with chocolate and candy. Just like at Halloween, we definitely think candy and chocolate are perfectly OK in moderation! What’s a holiday without some treats and indulgences? 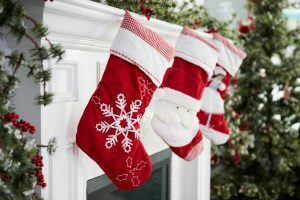 But, to keep teeth safe and healthy, try to minimize candy, chocolates and sweets and try these other ideas to fill up the bulk of your children’s stockings this year and avoid the sugar rush. There are so many exciting firsts in a child’s life, but one we don’t hear about often is the first dental visit. Read on to learn about when you should make that first appointment, how to prepare for it and what to expect at the appointment. Could Focusing on Dental Health Help with Childhood Obesity? Childhood obesity has been a widely recognized problem for years, but despite many initiatives aimed at getting this dangerous issue under control, it continues to affect an alarming number of children around the world. But a thesis by a graduate student in Sweden recently shed light on a new idea that could help with childhood obesity in ways that other efforts have failed to do. There are few things most adults dread more than a trip to the dentist. If you ask, many of those with anxiety about dental visits can trace it back to childhood. In some cases, a specific bad experience may have led to negative associations with the the dentist, and in other cases, there’s no clear cause, just a general sense of unease from an early age. What if we could completely change the way our kids experience going to the dentist so that when they become adults, they don’t have the fear and anxiety that many of today’s adults suffer from? The good news is, we can! 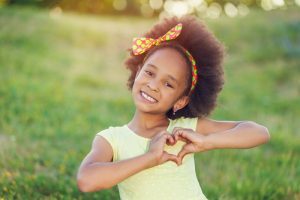 Here are just a few ways to help get kids excited about their dental appointments and begin a positive association with the dentist from an early age.